Christmas has come early with a channel dedicated to seasonal films now also available on Freeview in selected areas. 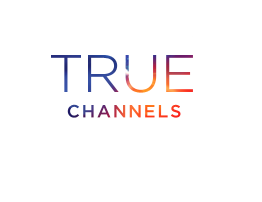 True Christmas, a sister channel of True Entertainment and part of Sony Pictures Television's portfolio of UK channels first launched back on the 9th October on Sky, Freesat and cable networks, replacing True Movies 1. It has this week made its debut on Freeview, where it can now be found on channel 82 in local TV coverage areas, using spare bandwidth on the local TV network. A retune may be required. The channel also available via YouView and EE TV boxes in local TV coverage areas. Meanwhile, the first Christmas themed music channel is preparing to go live this weekend. Satellite music channel Bliss will make its seasonal transformation to Blissmas on Sunday 1st November, which is when movie channel Movies24 is also due to get a yuletide re-brand. If last year is anything to go by, further TV and radio stations will be launching their seasonal offshoots in the coming weeks, including a festive version of UKTV's Gold channel. After January, will True Movies 1 remain on Freeview (or is this a temporary thing)? It would be better if it was on one of the main multiplexes as not everyone can receive the local one as they are low powered. Maybe more HD channels could come to Freeview HD before Christmas?